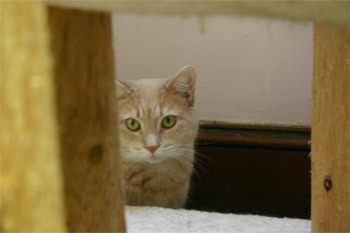 When your kitty goes missing or you found a lost cat, please let us help you in your search. Simply e-mail us at contact@connecticutcatslostandfound.org with a jpeg image of your cat and your contact information and location from where you lost your cat or found the cat or use the form below. Once we receive your e-mail, we will post your ad on our website free of charge. We often do minor edits to make sure we have what we need and that your ad is concise. Since we are limited as to the amount of space we can use for each ad,sometimes, your ad maybe shortened. We also edit your photo when we find it necessary to make the image clearer or to cut out uncessary background. Once your ad is on our website anyone who views it and may recognize a lost cat or a cat you found that maybe theirs, it is up to that individual to then get in touch with you directly. Please indicate what contact information you want to be place on the ad. For example if you only wish email address to be posted or only phone or both make sure to let us know as otherwise we will publish all your contact information that we receive in your email. * we reserve the right to remove your ad from our website after 90 days unless you let us know that you want to retain your ad for a longer period of time. Connecticut CATS lost and found is nonprofit organization helping to find missing Connecticut kitties. Our email address: contact@connecticutcatslostandfound.org . You can use this email address to send us information about your lost or found kitty and attach the jpeg image of your lost or found cat OR you can use the contact form you see on the right BUT when using the contact form only information will be sent to us as form does not provide image upload. Use the form below to send us your comments or questions. .